Is There a Place for The Russian Orthodox Church in Post-Maidan Ukraine? 28th of July is celebrated in Russia as the Day of Baptism of ancient Rus (the proto-state of Eastern Slavs with the capital in Kiev). Although the original event took place in the 10th century A.D., its importance is being exalted today, as Russia is facing multiple challenges over the civil war in neighboring Ukraine, whose capital Kiev happens to be now. On this day, the Russian Orthodox Church marks the 1025thanniversary of Kiev’s residents being baptized by St. Vladimir, the Kievan prince who opted for Orthodox Christianity, the Eastern branch of Christian faith. According to the legend, St. Vladimir was visited also by representatives of the Roman Catholic Pope and of the Islamic religion, but he chose Constantinople, which was at the time the most civilized city in Europe and the cradle of Eastern Christianity. In 1988, the celebrations of the 1000th anniversary of Rus’s baptism marked the “rehabilitation” of the Orthodox Church in the Soviet Union, where it had faced enormous pressure from the officially atheist state until then. So, the holiday is rich in symbolism for the middle-aged generation of Orthodox believers. However, for the first time in many years the Patriarch of the Russian Orthodox Church, which unites millions of Orthodox believers in both Russia and Ukraine, was unable not travel to Kiev, the original site of baptism. The reason was the poor state of relations between Russia and Ukraine. 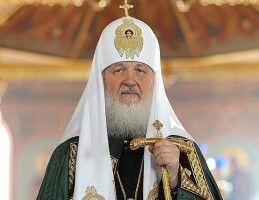 Patriarch Kirill was strongly recommended not to visit the Ukrainian territory by the Ukrainian ministry of culture. In the Ukrainian nationalist circles Patriarch Kirill is dismissed as “Putin’s ally” and a carrier of anti-nationalist ideology of the “Russian world” (this ideology, stressing the “spiritual unity” of Orthodox nations of the former Soviet Union became anathema to the new authorities in Kiev). Kirill, who marked the day by officiating at a church service in Moscow, was visibly disappointed about not being able to travel to Kiev. Formally, his sotracism by Kiev is undeserved. Throughout the months of the Russo-Ukrainian conflict he did not say a single word in support of Crimea’s merger with Russia, he also left the Orthodox churches in Crimea under the jurisdiction of Kiev’s metropolitan. 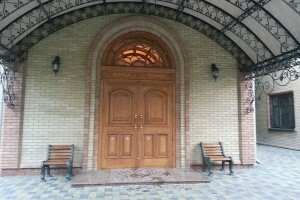 The branch of Russian Orthodox Church in Ukraine (officially called the Ukrainian Orthodox Church of Moscow Patriarchate) expressed its dissatisfaction with the Ukrainian culture ministry’s interdiction of the Patriarch’s visit to Kiev, calling it an interference into the Church’s internal affairs. In Public, Patriarch Kirill himself did not say a word about his own pain, but from the very beginning of the rule of the new nationalist government in Kiev, he did not make a secret out of his opposition to pressure on Moscow-connected Orthodox church of Ukraine. In this speech of the Patriarch, he was referring to several attempts by Ukrainian nationalist activists to seize from the Ukrainian branch of the Russian Orthodox Church several important premises belonging to it, including the famous Kiev-Pechersk Lavra. (In translation it means “Kiev Monastery on the Caves” and includes several important relics of Holy Rus’s saints.) 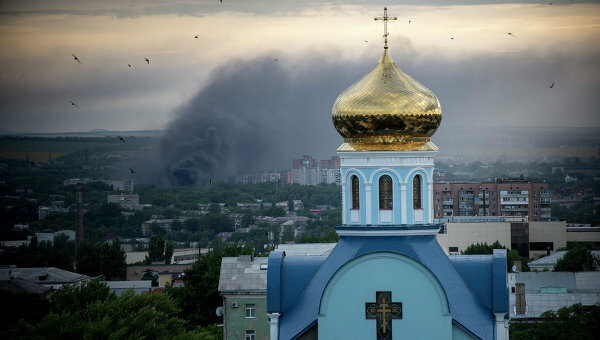 The attempt failed because of resistance from the parishioners and monks, but the attitude of the Ukrainian state to the Moscow-connected church has been deteriorating since the moment of the Maidan revolution in February this year. 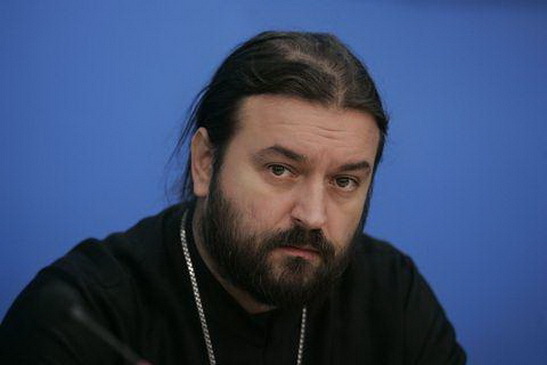 Archpriest Andrei Tkachyov, formerly the head priest in one of Kiev’s biggest parishes, had to move to Moscow after speaking critically about the violent takeover of power in Kiev by the nationalist activists from the Maidan movement. Now archpriest Andrei Tkachyov is concerned about the future of his fellow Orthodox priests in new, reportedly “European” Ukraine. 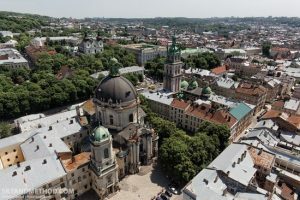 “As far as the church is concerned, I think the infantile nationalists, who came to power in Kiev, they will put on the church all the blame for what they perceive as Ukraine’s backwardness. Those Ukrainians inside the church who accept this view, they will soon reject all of the church’s traditional ties to Moscow. There will be some who disagree, who will just try to wait it out keeping silence. As for those who are openly and strongly opposed to severing ties with Moscow – these people will become open enemies of the new regime. I shudder at the thought of what will await them, I am too scared to imagine the details of that”, archpriest Andrei Tkachyov said. The fate of archpriest Andrei Tkachyov is not a unique one. Several other dissenting Ukrainian priests, who fell out with the new regime, also had to leave Ukraine and move to Russia. For instance, Maxim Volynets, a priest from the embattled Lugansk region, had to leave the region with his wife and five children. He now lives in the Moscow region. The most painful consequence of the civil war for him was his quarrel with the parents who live in Kiev and share the new government’s point of view. The civil war in Ukraine divides not only churches and confessions, but even the priests’ families.